The first in a series of articles covering the history of internet search and the pioneers who laid the foundation for the world’s most popular search engine. To kick things off, here’s a brief account of how Google came to be in the first place. Larry Page and Sergey Brin worked on their project steadily for the next year, building a “data center” in Larry’s dorm room at Stanford, operating under the domain name of google.stanford.edu. Yes, that really is a custom case built out of Lego blocks. Modest beginnings for an enterprise that now operates a vast network of data centers around the globe. This was the era of virtually free venture capital for all things “dot-com,” but at that point, the future billionaires had little interest in building a company of their own around the technology they had developed. Instead, they began calling on potential partners who might want to license the fledgling search engine. I asked several of these people how they responded to the opportunity to invest in what is today one of the most valuable companies in the world. Yahoo co-founder David Filo took a look and said encouraging things but told the duo to come back once the search engine had grown up. Others were less kind. “I wasn’t impressed with their demo at all,” said Doug Cutting, senior architect for then high-flying search engine Excite. “I didn’t have the authority to sign a check anyway,” said Louis Monier, AltaVista’s chief technical officer. “I told them to go pound sand,” said Infoseek founder Steve Kirch. This initial funding posed a problem, however: The pair had not yet incorporated their new company, so they couldn’t deposit the check. It sat in Page’s desk drawer while the duo set up a corporation and raised additional money from family and friends. They continued to work on their search engine, rechristened it “Google,” and by early 1998 were ready to invite the world to their virtual doors. 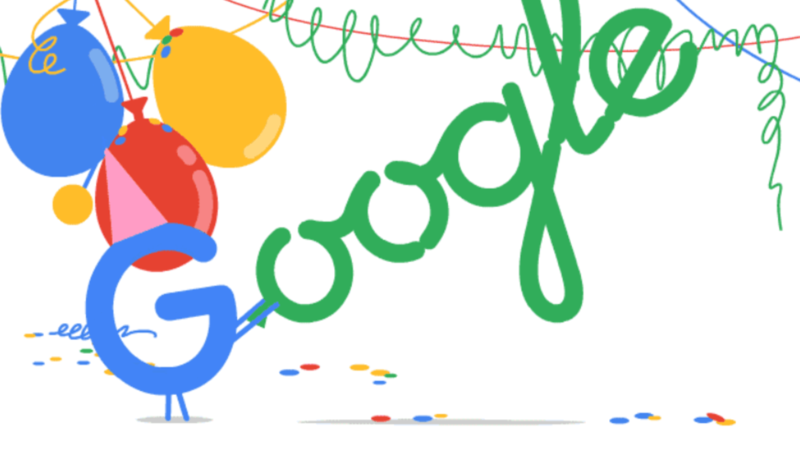 They registered the domain google.com on September 15, 1997. Nearly a year later, the pair formally incorporated their company, Google, Inc. on September 4, 1998, and moved out of Page’s dorm room into the garage of their friend Susan Wojcicki nearby in Menlo Park, California. Wojcicki eventually became an executive at Google and is now CEO of YouTube. Over the coming months, I’ll have more Google history in store. Meanwhile, next week in “Where are they now?” — Google Vice President and Chief Internet Evangelist Vint Cerf, a “co-father” of the internet. Definitely, what a splendid site and enlightening posts, I surely will bookmark your website.Best Regards!